Started in Real Estate in 1973 and opened his own business in 1985. Currently operates a Residential Division, a Property Management Division as well as a Commercial Division specialising in Auctions & the Valuation of both immovable & movable property. Having lived in Port Elizabeth for more than 10 years I have gotten to know the neighbourhood quite well. This has helped me to connect with the community and the people who call it home. I have a passion for Real Estate and helping my clients understand the dynamics of our local markets. My vast knowledge about the dynamics of the local market make it easy to assist my clients in making informed decisions by successfully navigating the complexity of buying and selling properties. Having joined Harcourts Summerton, I make use of their innovative technology and market based strategies which have proven to be an effective tool to any prospective buyer or seller. Being someone who enjoys meeting new people and maintaining relationships, I enjoy taking part in charity work and other outdoor hobbies such as fishing and watching soccer and rugby. If you need help buying, selling or renting properties ranging from homes to commercial, give me a call. Dedicated, innovative and reliable. Your preferred Agent! I have joined Harcourts Summerton as an intern agent and enjoy great support from my Principal and colleagues who have helped grow our office into a highly reputable company known for excellent sales records and a hands on value added service. My real estate career begun in 2013 after 14 years working in the film industry, travelling both nationally and internationally extensively, staying and shooting in areas exposing me to a wide variety of property styles. 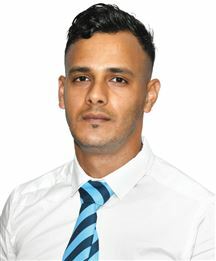 My natural interest of property and areas was enhanced by this opportunity of which I decided to change careers and focus on developing my passion for real estate and my curiosity of knowledge by keeping up to date with current trends and developments in both property market related topics and area and national progression. I'm very excited to be involved with the Harcourts Summerton family in Port Elizabeth after spending most of my life in Grahamstown. I owned the award winning WIMPY in Peppergrove Mall for 17 years and was instrumental in bringing the Mugg and Bean to Grahamstown in 2015. I'm a passionate supporter of Manchester United, the Springboks and Ferrari and watch and support as much sport as possible. I have also traveled internationally quite extensively and enjoy experiencing different countries and cultures . I'm passionate about people and exceptional customer service and look forward to offering you a fantastic experience. Please feel free to contact me for all your property requirements. I have 40 years sales experience to my credit. Thirty years of which was spent in the pharmaceutical industry. During that time I also completed the Estate Agency Board exam and sold residential property on a part-time basis. In 2006 I started my own agency business, marketing and selling natural health products. 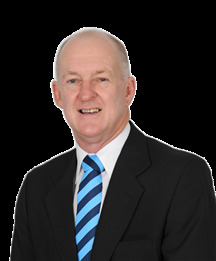 I recently had the opportunity to re-enter the property market , joining Harcourts Summerton. My focus is on the marketing and selling of residential property. 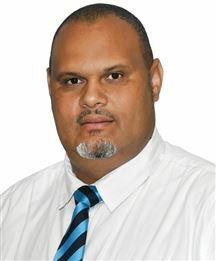 I am resident in Miramar and will be specialising in the Miramar and Walmer Heights areas. I have a National Diploma in Sales and Marketing Management, from the Port Elizabeth Technikon. I have also completed a number of communication and selling courses. I am currently employed as an Intern Property Consultant at Harcourts Summerton. I am proud to be part of a successful sales team. In my spare time I am a KUSA registered instructor at the Dog School, teaching Home Obedience to dog owners. MY PROMISE TO YOU During my mandate period to market your property, I undertake to do so in a professional manner with honesty and integrity. My association with Port Elizabeth goes back to The Grey many years ago, and although my working career was spent in Johannesburg, PE has always had a tremendous attraction for me and my family. I qualified as an Estate Agent in 1997, and practised in Kenton On Sea for a number of years, before moving back to PE recently. I bring many years of understanding of the Residential/Holiday Home market, and look forward to the challenges Harcourts will offer. I started out my Real Estate Career in 1993. Prior to joining Harcourts Summerton I owned my own Real Estate Company in Kimberley where a large part of my success had been through referrals from clients to their friends and family. Having worked in the industry for many years, my experience is extensive and I am Always available to assist you with your property evaluation, sale of your property or to help you find your dream home. As a realtor I have always brought abundant Energy, experience, dedication and personal knowledge to my work. “To give real service, you must add something which cannot be bought or measured with money, and that is Sincerity and Integrity” ….. Douglas Adams. Born and bred in Durban, little did I know my life would be that of a nomadic desert person, minus the camel. We moved towns and houses every 3 years until my last day of high school where , surprise, we moved yet again, missing my much anticipated end of year jol that was to sum up my entire school career. This is part and parcel of having career driven folks and is something I wouldn’t change given a magic wand and genie in a bottle (no thanks Christina Aguilera) Having first-hand experience with the moving process on numerous occasions (albeit as a child) , the stresses and strains and the sheer joy of finding yourself in a magical new home with new surroundings to explore, my love for property and houses was born. Having seen this initially through the eyes of a child and then young adult , I had an entirely different perspective on things, from changing schools repeatedly, to a new room to decorate, many many brown packing boxes later and still each time there was nothing better than going along to view houses with my family and finally finding ‘home’ for the 500th time. One thing I realized on this journey through my childhood and as an adult and one who has bought property herself, is that home is a feeling, kind of like finding your perfect match… you just know and you can quite confidently say, this feels like home, this is where I see myself waking up and going to sleep, this just feels right. My career didn’t start out in Property, I studied Business Computing and Management, attended numerous courses along the way and ended up spending 17 plus years in one of the largest international FMCG companies in the world. From junior to senior assistant and with more of an analytical reporting role in the last few years, I loved what I did and hadn’t envisaged myself in any other environment other than where I was, but life as we know it has a funny way of leading us down a different path with new challenges and adventures and I have embraced it with open arms. In life, the only constant is change, and this is where the most exciting change came for me and I was able to marry my love for houses with my career, and honestly, there be nothing better. As Nelson Mandela said, “a good head and a good heart, are a formidable combination” and this is how I choose to conduct myself, with the utmost integrity first and foremost. So when I’m not on the ice (I play league and EP ice hockey, yes, some woman are that tough), or in the gym, I’ll be looking at new prospects and working tirelessly to make the buying and selling process easier on my clients and their families. “If it is to be, it is up to me” and I firmly believe that with the correct level of integrity, empathy, coupled with real estate and market knowledge, I can and will make a difference in this industry. I look forward to working with you and making that difference. I decided to join the property market in 2004 after running my own business for many years. I love the interaction with my clients and colleagues alike and find working for Summerton's very stimulating and rewarding. My real estate career started in 1992 and I have been actively involved in residential property sales in the Port Elizabeth area since then. Marketing and selling existing residential property in Port Elizabeth has given me a broad spectrum of knowledge and experience in the property market. I have a BA degree in English & Drama from Rhodes University and am a NQF 5 qualified Principal Estate Agent, and this, backed up by years of experience in residential property sales, makes me a perfect choice to get this job done. 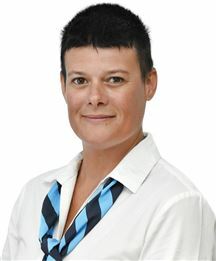 I am keeping up to date with the latest property trends and developments in South Africa and in your area. 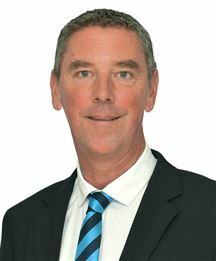 I am currently employed as a principal agent at Harcourts Summerton and enjoy great support from my colleagues who have helped to grow Harcourts Summerton into a highly reputable company known for a great sales record and value added service. 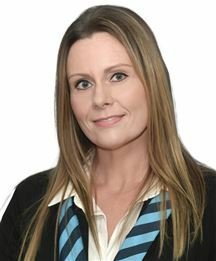 I am a past Director on the board of the South Eastern Cape's Regional Institute of Estate Agents and am a current director of The Neighbourhood Property Publication in Port Elizabeth. I am continually developing my knowledge and skills by attending National Conferences and training seminars. I pride myself on top quality service and customer care and have a passion for people and property. I started my real estate career in 2018 with Property Professionals, during my 7 months there I sold a total of 8 properties. I joined the Harcourts Summerton team in January 2019 and am currently employed as an intern agent and enjoy great support from my colleagues who have helped to grow Harcourts Summerton into a highly reputable company known for a great sales record and value added service. 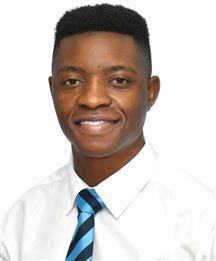 I attended Victoria Park High School and matriculated in 2016 having captained the 1st XV hockey team and represented them on 32 occasions. I represented the Eastern Province B side for 2 consecutive years. My interest in the property industry and property investing started when I came across a video of Robert Kiyosaki and Bryan Casella. I am an avid sports fan and support Chelsea FC, Springboks and McLaren. As a wife and mother, I know how precious time is in the 21st century. All the stress, hustle and bustle result in missed opportunities. It is never too late to make that change. Buying or selling a home is one of the most stressful events in our lives. Let me help you to find that dream home. I am dedicated to giving you the service you deserve, to save you time and money, but most of all, help you sell your property or to find your next dream home. I am passionate about property and enjoy the daily challenges our industry brings. I pride myself by delivering excellent service. I am committed to my clients. When you work with me you can expect the following: 100% commitment. Personal attention. Ethical and professional behaviour. Enthusiasm and commitment. Honest and regular communication and feedback. Special care for your personal property needs. The benefit of local area knowledge. Together with Harcourts unique and effective marketing strategy and resources, I’ve been able to successfully help you sell and/or find a new home. I am passionate about living the values of Harcourts: People first, Doing the right thing, Being courageous and Fun & laughter. I love the various aspects of real estate and helping people in this market. I am committed to service excellence and building strong relationships with clients. I am passionate about the needs and goals of my clients and I strive to bring them peace of mind. I have a high-level commitment to my real estate education as I am also studying towards a Diploma in Real Estate and I am proud to be associated with a highly regarded and reputable agency. In my spare time I enjoy spending time with family and friends and taking part in outdoor activities available to us. I am passionate about the needs and goals of my clients and would like to bring a peace of mind to home sellers who have previously struggled to sell their property on their own or with another agent. Currently receiving mentorship and coaching from the highly acclaimed estate agents at Harcourts Summerton, I am one of the rookies to watch out for in the game. I am a law student and love travelling, watching football and am an avid gym fanatic. My real estate career started in 2016 in the management of commercial properties in Port Elizabeth. I am now in sales and rentals of commercial properties in the Port Elizabeth area and aim to provide unique and effective service to my clients. My experience in the commercial property industry has given me a broad spectrum of knowledge and experience in the property market. 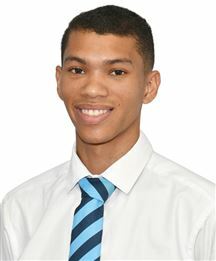 I am currently enrolled at the Cape Peninsula University of Technology where I am pursuing a diploma in real estate. This backed up by my experience working with various business interests in Port Elizabeth makes me a perfect choice to get the job done. I am currently employed as an intern at Harcourts Summerton and enjoy support from my colleagues who have helped to grow Harcourts Summerton into a highly reputable company known for a great sales records and value added service. I am always in pursuit of challenges and am constantly working towards improving my knowledge and capabilities.